Nicholas Read finds tranquility on a small treasure. 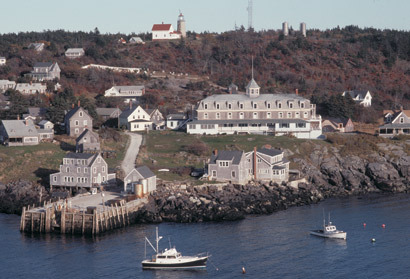 Nick Read finds Monhegan Island, Maine, USA as a summer retreat not to unwind but to get serious. Oil painting is not his hobby but a passion. Forty years of this craft have honed his talent toward some simple themes, many overlooked by others. The island intensifies the subject matter onto a one mile square outcrop of rock, glade, beach and path to find the objects and scene that make the canvas sing. Ten miles at sea from the nearest port can isolate the emotions and meditation is inevitable. No cars and twelve miles of trails lend to a peaceful, simpler style of human interaction. Locals and visitors co-exist and the pristine village and trailside remain. 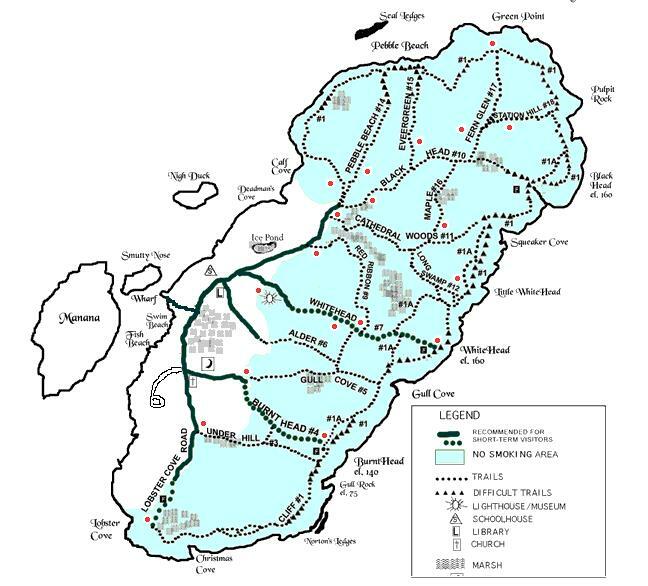 Today the Island is owned by a Land Owners Association Trust from the 1950’s and about 65 folks are year-rounders. Summer opens the sea to a few ferryboat companies and the inns and guesthouses fill. Twelve establishments with rooms or cottage rentals abound. Day trippers from New Harbor, Maine on the Hardy Boat Cruise Lines roam the village and eat and shop. The commercialism flavor is “on light”. Lobstering is a big part of the business of the day. The local industry wraps around the sea. Boothbay Harbor, Maine sends the artists over to find their place on the cliffs and shore. Painting flora and fauna is much of the draw. Monhegan has earned itself an international reputation as a birdwatching Eden. Puffins and other seabirds draw nature hunters and seals and the occasional rouge whale are just offshore in the summer months. So, 35,000 to 40, 000 visitors per year have figured it out. “How this one-mile-long by half-mile-wide island could hold enough magic to beguile … hundreds of painters over the years truly amazes me.” asks Jamie Wyeth, artist, from the foreword of The Art of Monhegan Island. 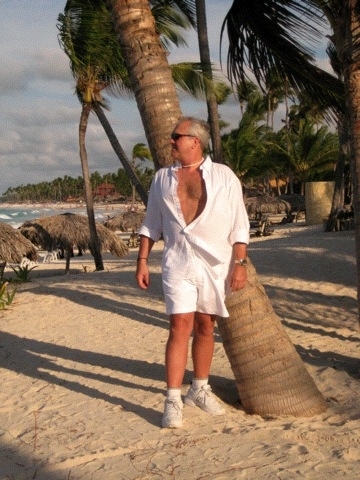 Nicholas Read spends a couple of weeks each year on the island. Maybe the light is just right? This is the first place in the United States that catches the rays of the rising sun; we do not count Cadillac Mountain on Bar Harbor. Artist watching is as much of an activity as any in the peak season. The hidden trails and coves, driftwood beach flotsam and the character in the faces of the locals reach out and find the artist. At sundown, when the day trippers are long gone, the fog rolls in and the few remaining gulls voice their approval in the small harbor. Nick’s artwork is mostly oil on canvas or board. 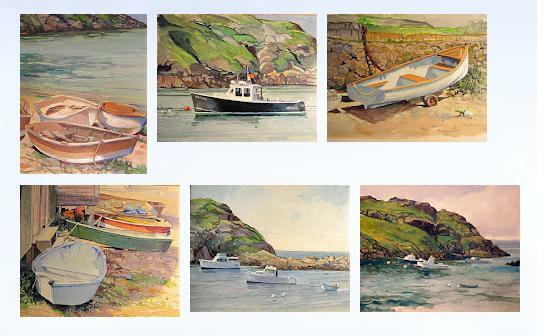 Watercolor might find its place, too, as many artist use that medium on Monhegan. His landscapes and shoreline scenes snap with color in a Cezanne or Poussin kind of light. The dramatic sea and the rocky outcrops remind one that the next stop to the east are the cliffs of Ireland and Scotland. We do not need to imagine those views, we have the artists of Monhegan Island.